Business Benefits Group - What Is Professional Liability Insurance? If you run a business, you may be confused by the wide range of insurance options available to protect your business. Having comprehensive business insurance is critical for safeguarding your assets, but it can be hard to know exactly what type of insurance your company truly needs. If your business provides a service to clients or customers, consider purchasing professional liability insurance as part of your total commercial insurance package. Professional liability insurance is a type of coverage protecting businesses that provide services. It is often referred to as either malpractice insurance or errors and omission insurance. Many business owners mistakenly assume that this type of insurance is only for professionals like doctors and lawyers. In reality, professional liability insurance can benefit any business that provides a service, from auto body shops to hair salons to computer repair stores. If a customer or client claims that a business made some sort of error or omission in providing a service, this insurance will cover both the legal cost of defending against a lawsuit as well as any settlement or award. It can be an incredibly valuable type of insurance for any business that offers a service. Learning more about what professional liability insurance can and cannot do is the key to knowing if your business needs this type of protection. This article outlines the basics professional liability insurance to help you make an informed decision about coverage. Professional liability insurance covers businesses and professionals who face claims and lawsuits as a result of an error or omission in the services that they rendered to a client or a customer. It is also commonly called errors and omissions insurance, or E&O. This type of insurance can shield businesses and professional practices from claims that you provided negligent services, performed inferior work, violated a contract or either made a mistake in your work or simply did not do what you were supposed to do. Professional liability claims can happen in almost any context where a business is providing a service. A lawyer could be sued for not filing a lawsuit in time, leading to a client being barred from taking legal action. An electrician could be sued if he installs faulty wiring, leading to a fire. A financial adviser could be sued if he gives bad advice to clients, causing them to lose a significant amount of money. A customer could file a lawsuit against a messenger service for not delivering important documents on time. Lawsuits for errors or commissions can be filed any time that a customer or client is unhappy or unsatisfied with your services, even if you are not actually at fault. Legal fees and settlement or award costs can be quite high, particularly if what your business allegedly did or failed to do resulted in a major financial loss. For example, if you are a web developer who designed a website for an online retailer that crashed on Cyber Monday, you could be liable for hundreds of thousands of dollars in lost sales if the site crash was a result of your company’s error or omission. Certain professions require their members to carry professional liability insurance, such as doctors or lawyers. Cases may often be decided based on a professional code of conduct or standards. Even if your company does not provide professional services, it may still be a good idea to purchase this insurance for your business; having professional liability insurance can help protect you from any errors or omissions made in your day-to-day operations. Professional liability insurance provides coverage for any mistakes or omissions that occur when a business provides a service. The level of coverage will depend on a number of factors, including the policy limits and the exclusions written into its terms. This type of insurance can provide coverage for a range of companies and industries. This could include realtors, mechanics, carpet cleaning businesses insurance agents, computer repair companies, contractors and other types of businesses. It could cover claims of misrepresentation, giving faulty advice, or violating the principle of good faith. Coverage will depend on the specific terms of each individual policy, but as the name implies, E&O insurance only covers errors and omissions — not intentional acts. If a business or one of its employees does something intentional, illegal or fraudulent, a professional liability/E&O policy will not likely cover the resulting claim or lawsuit. E&O insurance will not cover intentional acts, illegal actions, and bodily injury or property damage. Other than exclusions for intentional wrongdoing, each policy will have its own limits and exclusions, which should be carefully reviewed before purchase. Professional liability insurance will pay for legal fees and any settlement or award for the loss suffered by a third party. As a general rule, most professional liability policies are designed to cover only economic or financial losses. Bodily injury and property damage claims are instead covered under a company’s general liability insurance policies. For example, if a furniture cleaning company uses a harsh chemical that causes customers to have an allergic reaction, professional liability insurance would only cover the financial losses associated with the claim, such as replacing the furniture or having it cleaned again and potentially lost wages if the customer cannot go to work because of the illness. It would not likely cover the medical treatment for the allergic reaction. Those damages would likely be covered under a separate general liability policy. There are exceptions for situations in which an error or omission is almost certain to lead to bodily injury or property damage, such as with doctors, engineers or architects. A benefits broker can work with you to determine what type of commercial insurance policies you need. Professional liability policies typically cover two primary costs associated with claims and lawsuits: legal fees and awards, and settlements. Most policies have “shrinking limits,” which means that legal fees are deducted from the total policy limits, rather than being paid in addition to settlements or awards. If a business has $500,000 in professional liability coverage and a claim results in a $400,000 award and $125,000 in legal fees, then the company will likely be responsible for the $25,000 in legal fees that exceeds the total $500,000 policy limit. If you are purchasing a professional liability insurance, keep in mind that legal costs can be a significant percentage of the total expense of a lawsuit. You may want to purchase additional limits to ensure that your business is fully covered. Any business that provides a service — no matter what type — may need professional liability insurance. No matter how conscientious you are in your business, mistakes happen. If you are sued for an error or omission, professional liability insurance can protect your business. Professional liability lawsuits can arise in any number of ways. Medical malpractice lawsuits are perhaps the best known example of this type of lawsuit, but any business that provides a service could be sued for making a mistake or not doing something. An accountant may be sued if one of her clients is audited by the IRS. A mechanic could be named in a lawsuit if a person’s brakes failed, leading to an accident. If a hacker breaches a company’s website, the developer who designed the website could face a lawsuit for the resulting damage. The bottom line is that if your business provides any type of service — whether it’s a professional service or any other kind — it can likely benefit from professional liability insurance. This type of insurance is a vital part of an overall insurance package. Different types of insurance are designed to guard against different potential losses. Your insurance policies should complement each other to provide comprehensive coverage for all of the risks that your business may face. Professional liability insurance may protect your business from lawsuits and claims of financial loss for any error or omission that your company may make. It will cover claims that will not usually be covered by other policies, such as commercial general liability insurance. Having a professional liability insurance policy can help protect your business from being destroyed by an unhappy client or one mistake that led to significant financial loss. 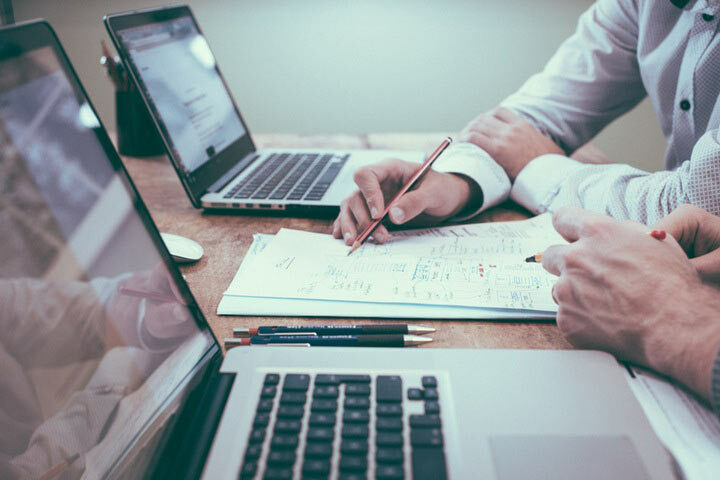 When it comes to purchasing professional liability insurance, working with a benefits broker can help you select the policy that fits your business’ budget and needs. A broker can provide you with a range of options from different insurers with different policy limits and exclusions, and can advise you on the best policy choice for your company. A broker can also examine your overall insurance policies to determine if there are any gaps in coverage that may be filled by an insurance policy such as professional liability insurance. Contact a BBG benefits broker today to learn more about professional liability insurance and whether this type of policy would be a good addition to your total commercial insurance package.